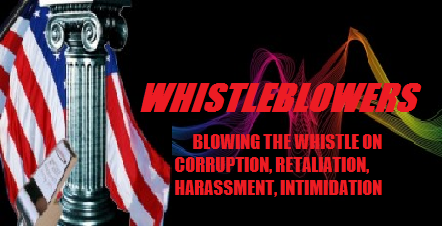 Whistleblower’s! 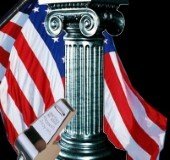 Atty: Lisa Belanger ..Disbar the BAR Associations? Join us this evening, October 18, 2018 at 7:00 pm CST! Join us this evening October 18, 2018 with Atty: Lisa Belanger as we discuss the need to disbar the BAR Associations. These Associations are in actuality “unions” and are the largest, most powerful, and lucrative unions in the country. A “BAR” card is simply a union dues card and carries no “license to practice” law. Having totally monopolized our judicial system, SCOTUS has created its own BAR association that practicing attorney’s must apply to before they can have a case heard before that supposedly independent, constitutionally created supreme court. Judicial oversight boards, and BAR Overseer’s Boards are simply in-house protection rackets which serve to protect union members from being prosecuted for malfeasance, misfeasance and other breaches of duty and law. Having monopolized the entire judicial system both state and federal, the law means nothing. Having granted themselves immunity from prosecution except in the most egregious of cases, 99% of all BAR complaints are summarily dismissed by Judicial Oversight Boards, and BAR Board of Overseer’s. Its a rigged system and God help the attorney that actually tries to defend their client using the law.